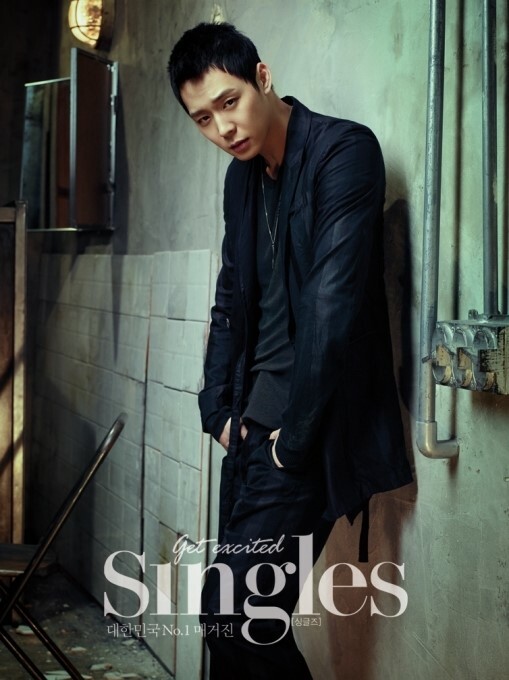 JYJ’s Park Yoochun will be holding fanmeets all across Asia. ‘Miss Ripley’ and ‘Rooftop Prince’, which are airing in countries such as Taiwan, China and Thailand, are currently experiencing explosive popularity in these nations. Taiwan’s ‘Yes Entertainment’ held a poll titled ‘Which Male Protagonist has Stolen Your Heart?’ and many of the 22,000 viewers voted for Park Yoochun, who came out on top and beat Song Seung Heon of ‘Dr. Jin’ and So Ji Seob of ‘Ghost’. Meanwhile, Park Yoochun’s Asia fanmeet tour will begin in Shanghai, China on the 25th of August and will continue on to Taiwan and Thailand. Talk is underway to include an additional one or two cities in the tour as well. Ivory’s Birthday was one week ago and my own Birthday is this month…so bring on the cake, ice cream, and presents for that legendary, unique DBSK, JYJ team member Micky Yoochun!!!. You Are THE Number ONE Birthday Boy Micky!! 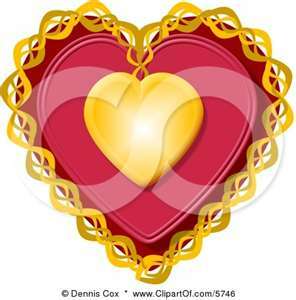 Now, Love has many meanings and applications so we will define Love in this Birthday Post as the love characteristic of an ajumeoni (aunt), which distinquishes it from other forms. This has been an emotional year for Micky, so encouragement and things to give him Joy are in order. You are a talented singer/songwriter Micky. Your throaty tones are beautiful. Yoochun was awarded the Male Popularity Award for his performance in ‘Miss Ripley‘, and he remembered to thank the fans who cast their votes in his acceptance speech. 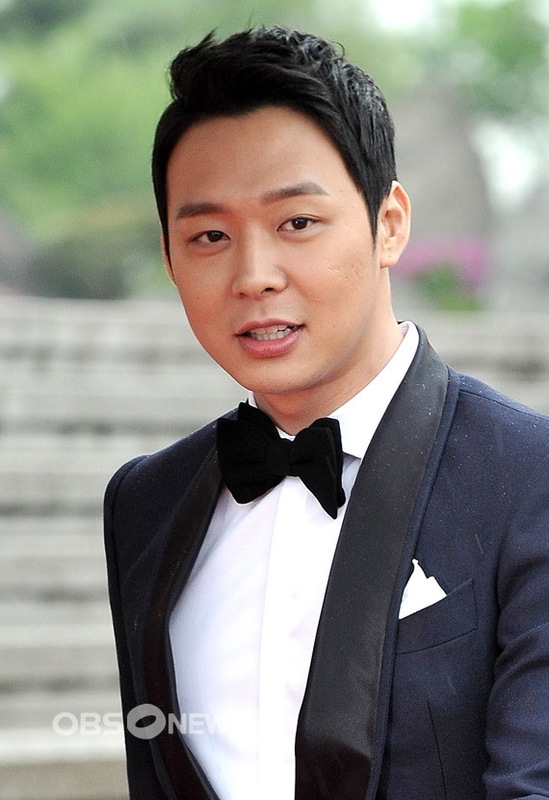 JYJ’s Park Yoo Chun always plays the roles of a rich guy in all of his TV dramas. In SBS’s series Rooftop Prince, which started airing on March 21, Park plays the double role of a crown prince named Lee Gak and the son of a great industrial family named Yong Tae Yong. He has also played the roles of a rich man in other two series and people are paying a lot of attention to him because he plays the same type of role but shows a different side in each series. Park played the role of Lee Seon Joon, the only son of a high ranking officer in times of King Jeongjo in KBS’s series Sungkyunkwan Scandal. His father is a Cabinet member in present times. In addition, he played the role of an heir named Song Yoo Hyun, who will succeed his family business in MBC’s Miss Ripley in 2011. He even enjoyed a date with Lee Da Hae in his private helicopter. 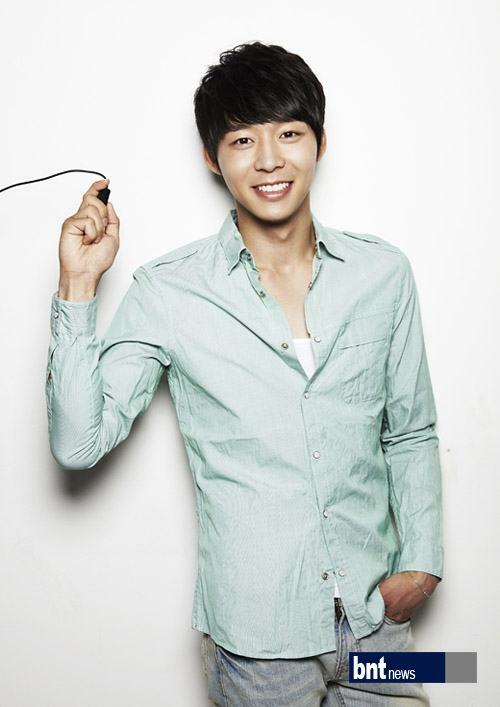 In his current series, Rooftop Prince, Park has moved up in social class and has became a crown prince. 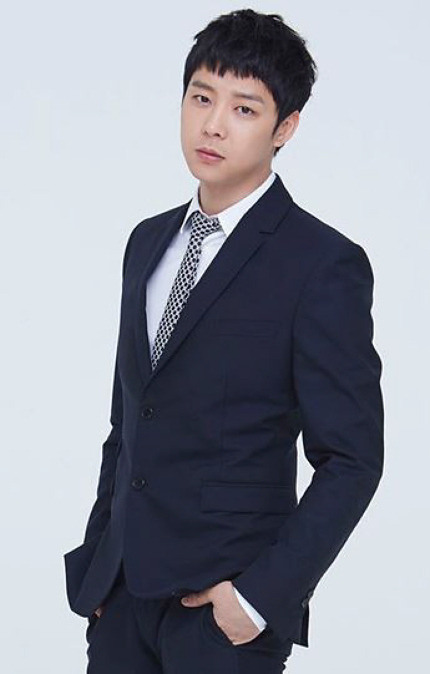 He also plays the role of Yong Tae Yong, who will take over a Home Shopping Company. 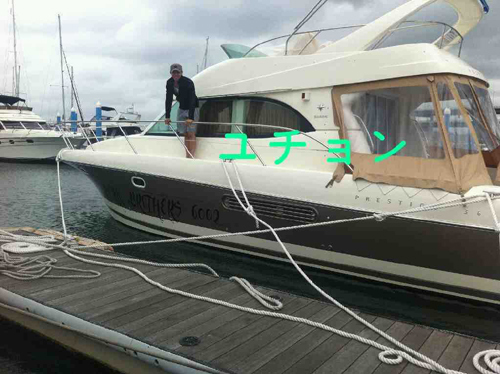 In the first episode of the series, Park drew a lot of attention by cruising on a luxurious yacht, which belongs to the company, with Lee Tae Sung. Even though Park has been playing the roles of rich guys, he shows different charms in each series. Park is showing off his charismatic and comic charms in the current series. The March 28 episode of the series received 11.2 percent of the audience rating (AGB Nielsen Media Research) and is finding his way to the top among other series which air every Wednesday and Thursday. “Miss Ripley” which has been the focus of Hallyu fans nation wide, has taken over the “Holy Land Of Hallyu” Shin-Okubo. In addition, visible from the street in front of the entrance of Don Quijote Shinjuku branch (along Shoku-an Street), which has approximately 20,000 visitors a day, “Miss Ripley” videos will be played 56 times a day (from 19 Jan 2012 – 18 Feb 2012). Also, signboards along the main stairway of the JR Yamanote Line “Shin-Okubo Station”, as well as within the station itself (already put up), will have “Miss Ripley” notices put up. 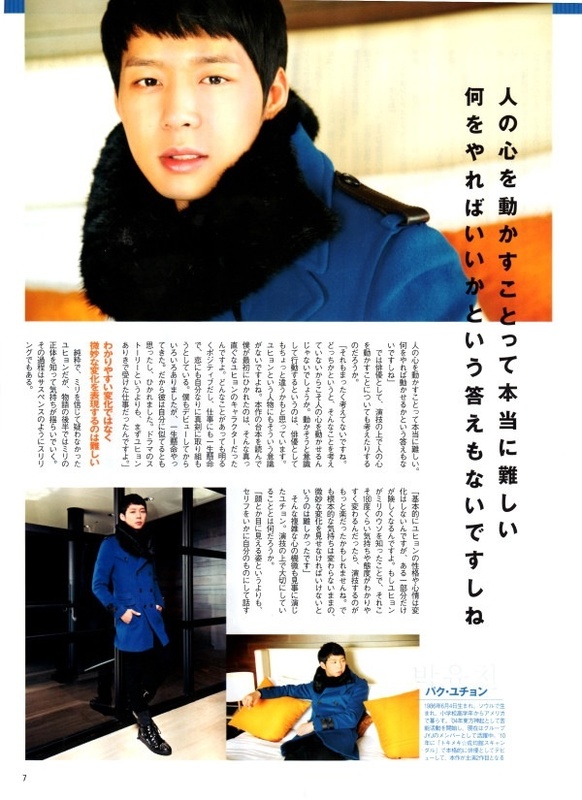 [Trans] 120117 JYJ Yoochun, “Miss Ripley” Making Of DVD To Go On Sale! 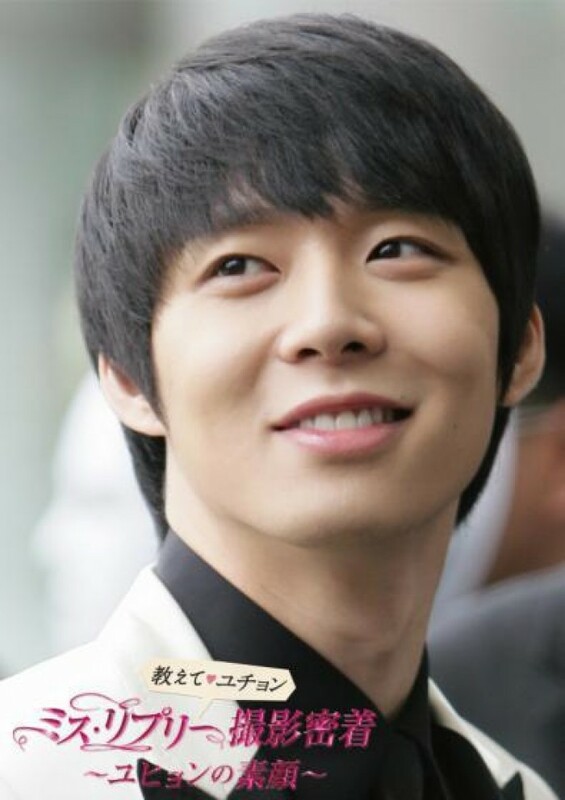 Yoochun, who showed his great potential as an actor in “Sungkyunkwan Scandal”, created a commotion with the selection of his next project “Miss Ripley.” Challenging an adult romance which is very different from his previous work, Yoochun showed delicate emotional acting, and the “making of” video clips full of talent and charm will be on sale. 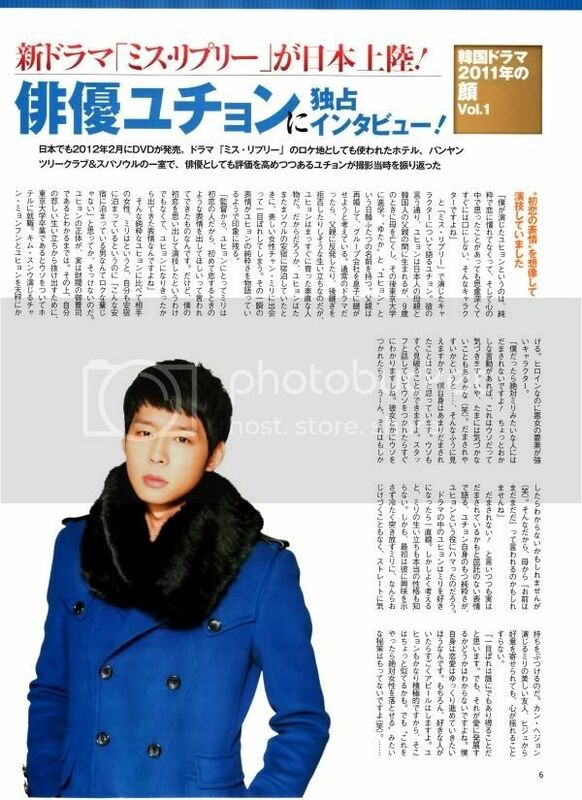 Differing in appearance from the period piece “Sungkyunkwan Scandal” , Yoochun shows a more natural cool style and captures the hearts of the fans. 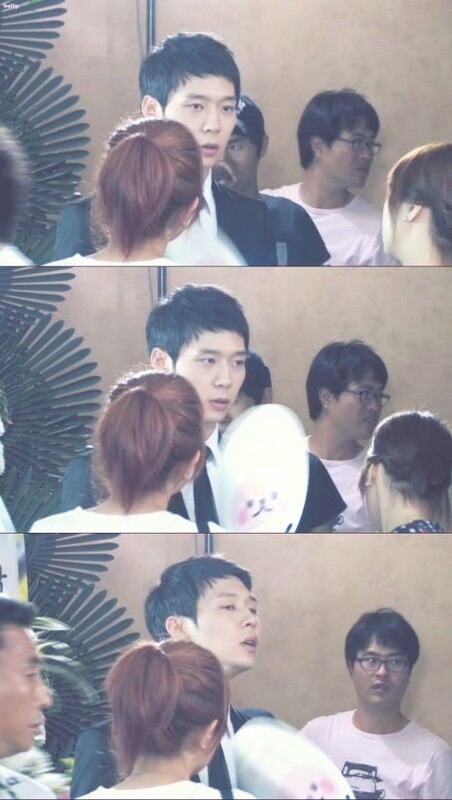 From his mischievous ways in front of the staff and co-actors, to his nervousness as he focuses his energies before the shoot, (this video) is filled with various expressions of Yoochun that cannot be found in the actual show. 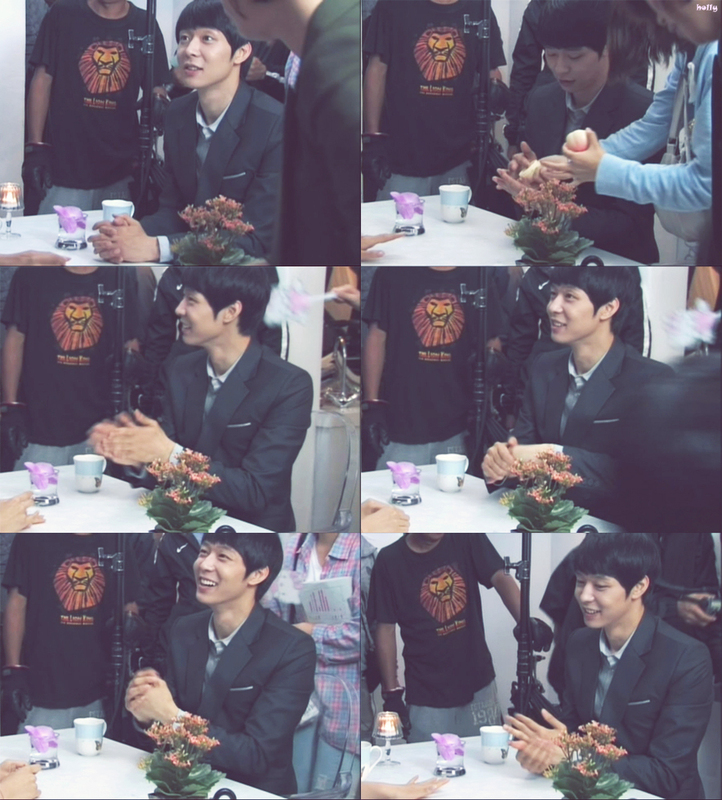 Also, there are “backstage” comments from Yoochun, who speaks during the breaks in filming. Aside from Yoochun, (the show features) Kim Sung Woo, who showed overflowing charisma in his acting in “Iris”, Lee Da Hae, who has had many hit dramas such as “Chuno”, and actress Kang Hye Jung, who has been active in movies. With such a strong cast of actors gathered on set, the atmosphere was surprisingly congenial! 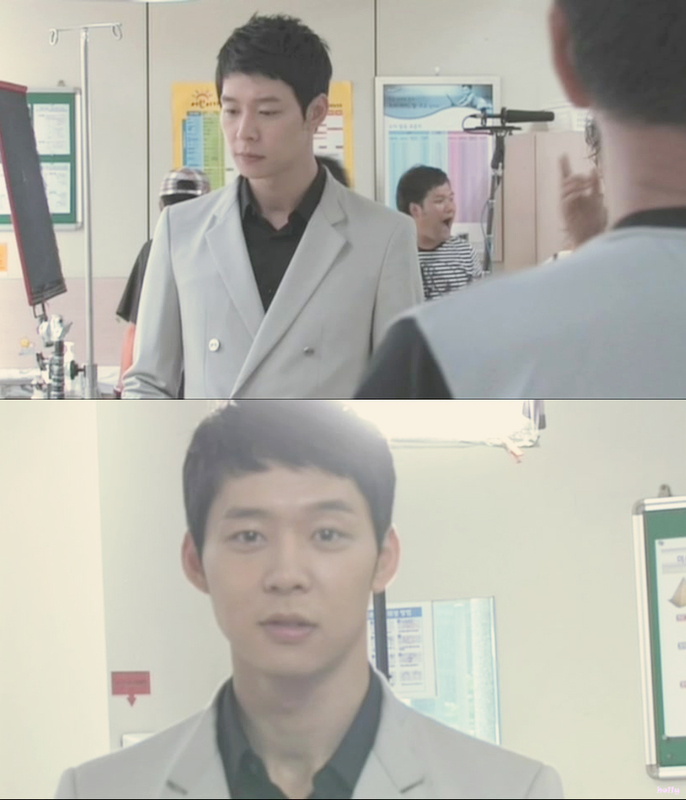 As a result of the harmonious atmosphere on the set, Yoochun was able to become closer to the other actors, who were older that him. He showed cute sides of him that were different from when he was overflowing with nervousness, allowing people to see his “frank humour”. Drawing its inspiration from the suspense novel bestseller series, “Ripley”, this work depicts human nature which revolves around a continuous chain of lies and desires. The overwhelming professionalism of the actors is also shown – how they switch from serious, when they act out thrilling scenes of lying or being lied to, to their natural sides in the offshoot. In particular, the camera, which focuses mainly on Yoochun, shows scenes from his comments, to him drawing portraits of the staff, to him signing for his fans, making the honest side of Yoochun available to everyone. Fans will not be able to resist seeing scenes such as (Yoochun) receiving guidance from the trainers during the training and swimming scenes that are featured in this volume. Also, Yoochun’s comments throughout filming breaks are also recorded. We are glad to be able to know the true feelings of Yoochun as an actor, who says he realised the joy of acting through this work. Contrary to the theme of “lies” that is presented (in the drama), this volume is rich with content of Yoochun’s “frankness”. Price : 7,000 yen each (Tax Inclusive) – 2 dics per vol. 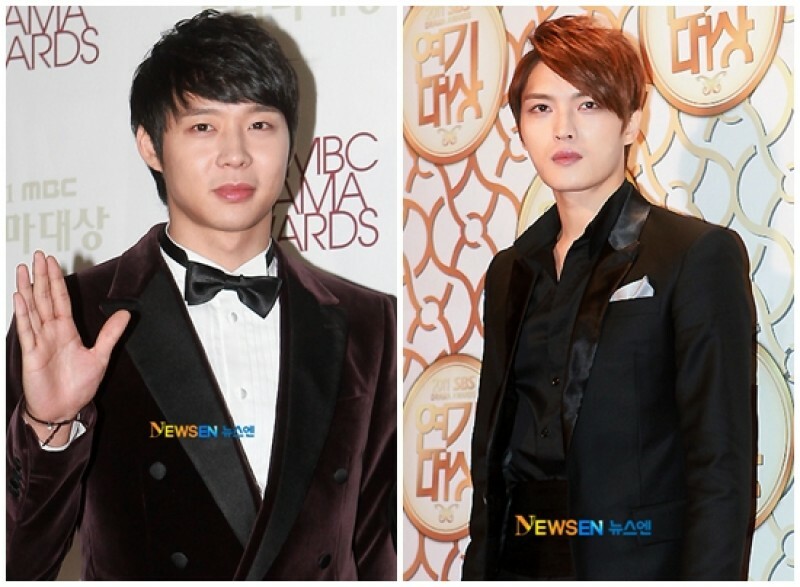 Park Yoochun, Lee Gi Kwang, Seo Hyun Jin and Hyomin won the Best Newcomer Award for miniseries at the MBC Drama Awards. The 2011 MBC Drama Awards were held at the MBC Ilsan Dream Center on the 30th and declared Park Yoochun, Lee Gi Kwang, Seo Hyun Jin and Hyomin, from the dramas ‘Miss Ripley’, ‘My Princess’, ‘Jjakpae’ and ‘Gaebaek’ respectively, as the best male and female newcomers of the year. Park Yoochun and Lee Gi Kwang had battled it out with Yoon Kae Sang from ‘The Greatest Love’ and Jung Yong Hwa from ‘You’ve Fallen for Me’ for the award while Seo Hyun Jin and Hyomin fought Yoo In Na from ‘The Greatest Love’ and Chae Yae Ryeon from ‘Royal Family’. 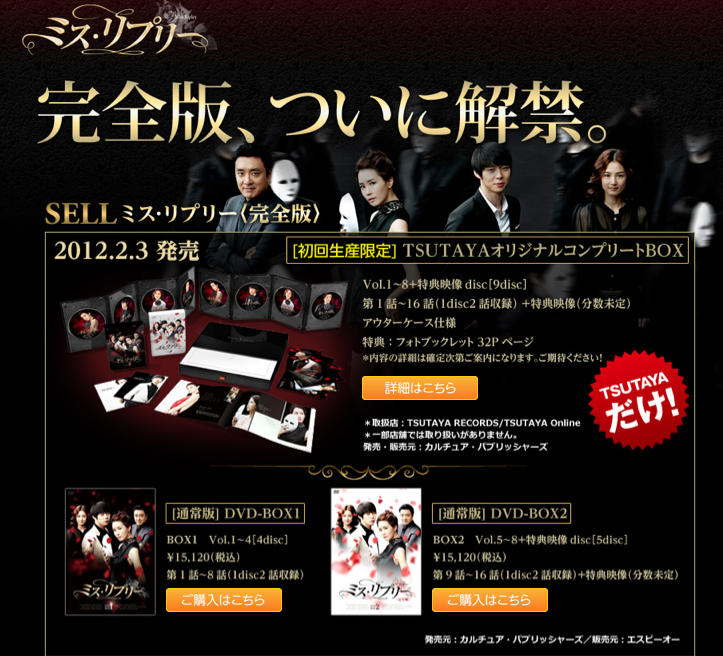 The drama DVD will be released in Japan in February 2012. Park Yoochun, who has been receiving a great amount of praise as an actor, shared his memories about his shooting process with us at The Banyan Tree Club & Spa Seoul, the hotel where the outdoor shoots for “Miss Ripley” was done. 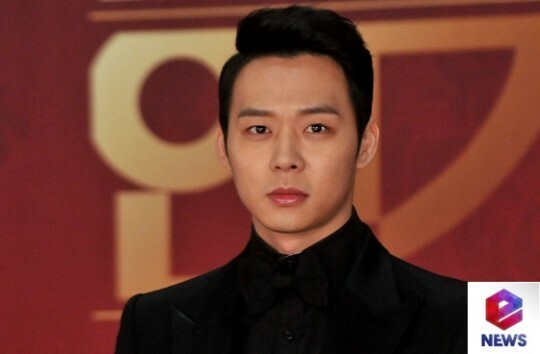 “The Song Yoohyun which I portray is innocent and doesn’t know anything about love, a person who mulls over his problems and doesn’t talk about it.” This is what Yoochun says about his role in “Miss Ripley.” As he explained, Yoohyun was born to a Japanese mother and Korean father, and his mother passed away when he was 9 years old. 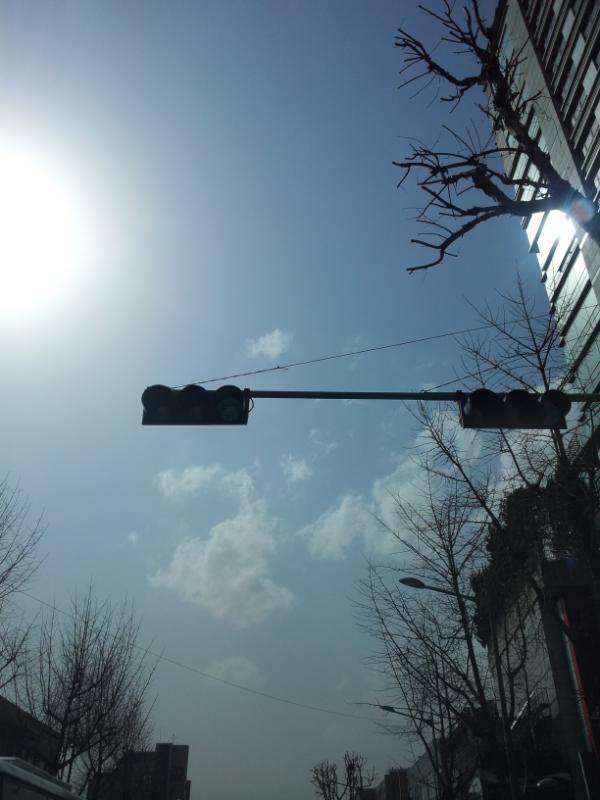 Following that, he studied at the University of Tokyo, and has the Japanese name Yutaka, as well as Korean name Yoohyun. His father remarried, and hoped that his son would take over the business. If this was a typical drama, the main character would be rebel against his father and refuse to take over the business. However, Song Yoohyun is a straightforward man who grew up in a proper manner, and it was probably because of this that he bumps into the beautiful Jang Miri at a student hostel in Seoul, and falls in love with her at first sight. His expression at that moment in time is probably a true expression of Yoohyun’s innocence, leaving a deep impression. Saying with an innocent face that he cannot be fooled, then saying that he might be fooled, Park Yoochun’s air of purity seems to fit well with the character of Song Yoohyun. In the drama, Song Yoohyun falls in love with Jang Miri and expresses this directly. 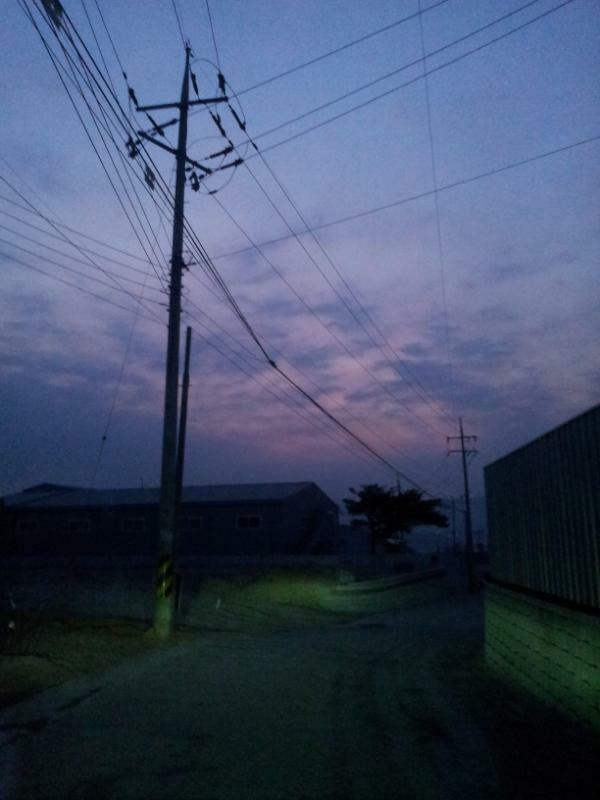 But considering it carefully, Song Yoohyun does not understand how Miri grew up, and her character. Furthermore, Miri showed no interest to him at first, treating him in a cold manner, pushing him away, and despite being treated this way, he fearlessly expresses his feelings for her. Even though Miri’s friend, Moon Hui Joo (played by Kang Hye Jung) expresses her interest in Yoohyun, he doesn’t waver at all. “I think that anyone could fall in love at first sight. But whether that will lead to love, I don’t know. Personally, I hope that love can last for a long time, and develop slowly. Of course, if I meet someone I like, I will work hard to show her my charm. Song Yoohyun is a optimistic person, and we are similar in that aspect. But in terms of having a special method of “if you do this, you can definitely get the girl,” I don’t have that (laughs). In that case, have you considered how you would need to touch someone as an actor? 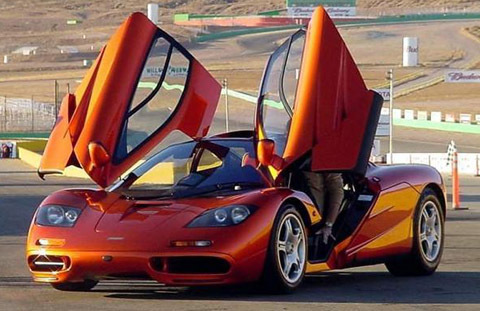 “That is not something that I have really thought about. But that is to say, isn’t the fact that I haven’t really thought about it, the reason that touches the hearts of the viewers? 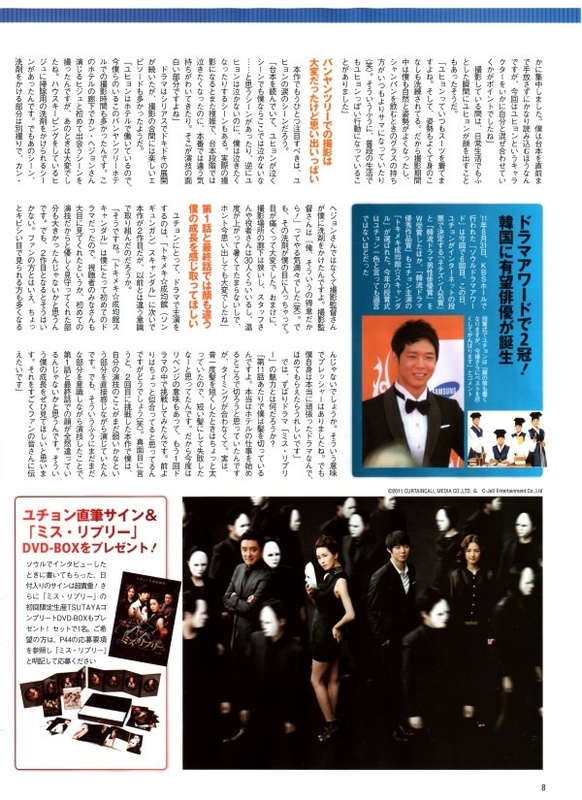 To do things with the aim of touching other people’s hearts, I think that as an actor, things are a little different. The character of Song Yoohyun is like that as well, a person without such motives. When I was reading the script, what first attracted me to the role of Song Yoohyun was his completely straightforward personality. I am like that myself, and after my debut I was faced with all kinds of situations and I would always give it my all. Therefore, I felt that Yoohyun and I are very similar, and was attracted to him. Compared to the plot of the drama, it is more important to accept the role of Yoohyun. 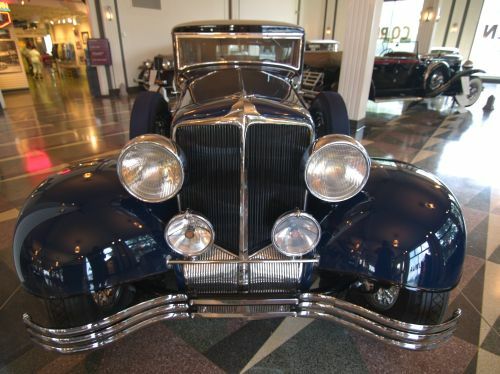 It is not simple, obvious changes, but the expression of subtle changes that is very difficult. 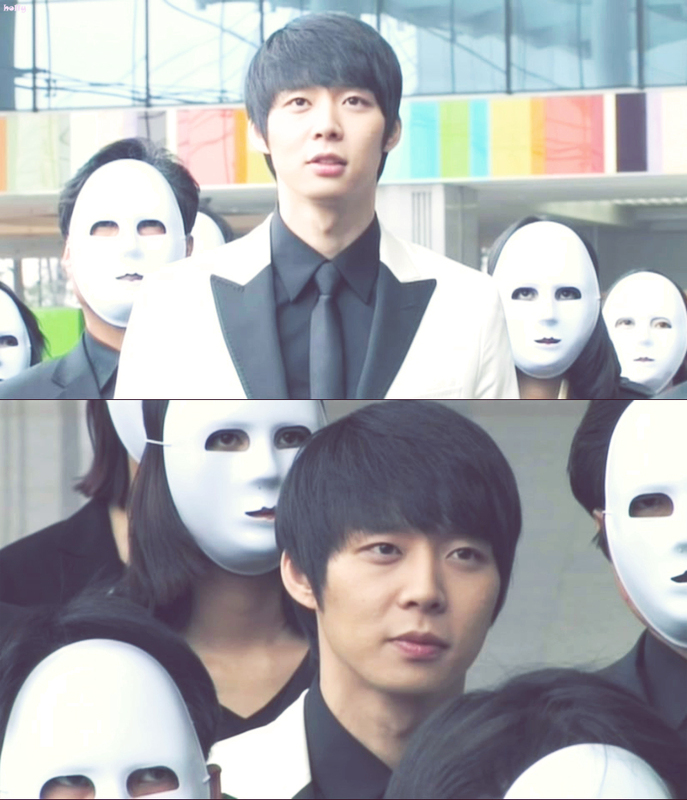 Park Yoochun manages to express these complex yet subtle emotions well through his acting. In terms of acting, what are the points that he looks out for? “Instead of just the physical appearance, and things that can be seen with your eyes, I focused on how to express the lines in my own way. For me, I am one of those “holds on to the script till the last minute, studying the script” types, but for this role, I placed more focus on how to blend Song Yoohyun’s character into my own.” During the filming period, there would also be times in his daily life where he would accidentally show glimpses of Song Yoohyun instead. 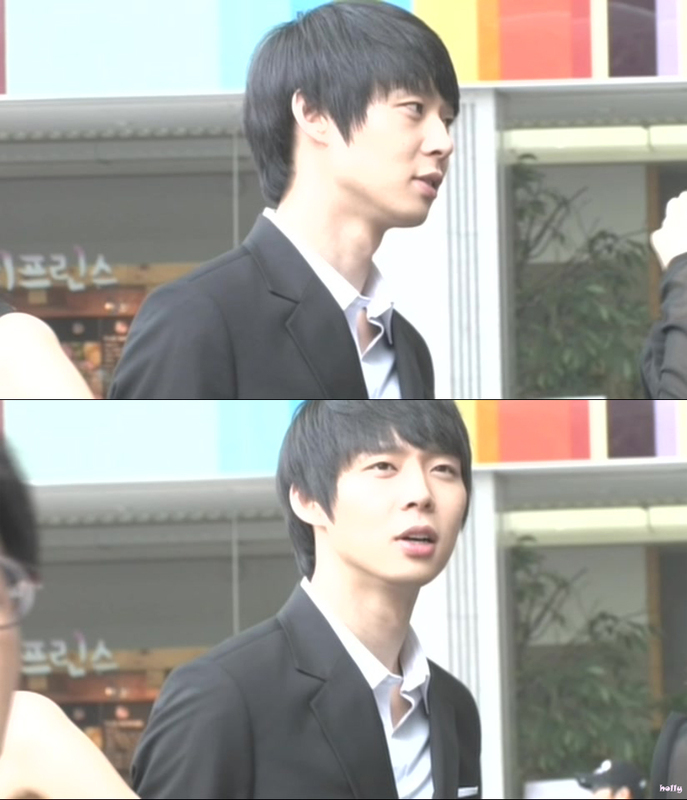 “Song Yoohyun is always well-dressed, elegant and well-mannered. So during the shooting, I naturally maintained good poise, and even the way I held my glass while drinking champagne was better than usual (laughs.) 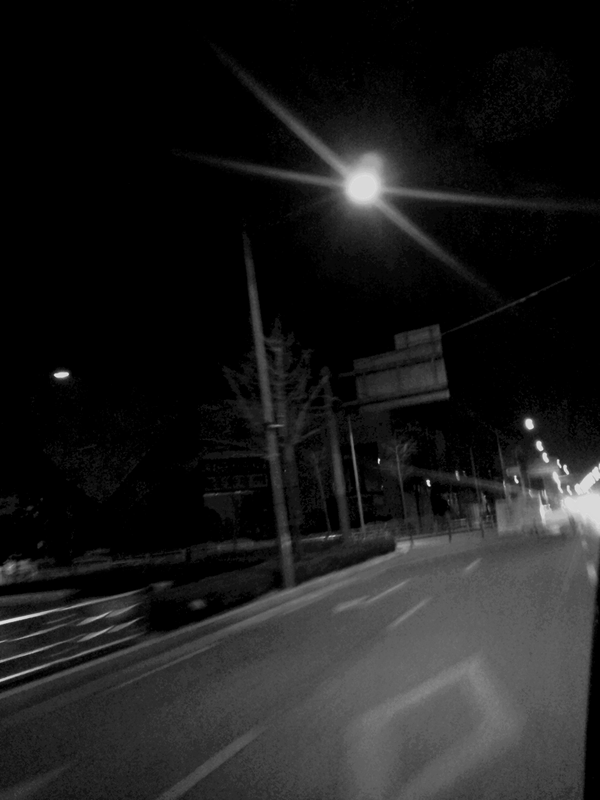 In ways like these, Song Yoohyun’s actions became part of my daily life. Another point to look out for in this drama is Yoohyun’s crying scene. Even though the plot of the drama progresses in a thrilling way, there were many meaningful episodes that occurred during filming. “Song Yoohyun works in a hotel, so we spent a lot of time in this hotel where we are at now, The Banyan Tree. In the corridors of this hotel, we shot the scene where (Yoohyun) first met Kang Hye Jung’s character Moon Hui Joo, and that was a really difficult scene. This was the scene where Moon Hui Joo, who works in housekeeping spills cleaning detergent on Yoohyun. However, for this portion, the “detergent-spilling” scene was shot separately, and it wasn’t Kang Hye Jung, but the director of photography that poured the detergent on me. The director of photography had said with enthusiasm “This is what I’m good at,” (laughs) But the detergent got into my eyes, and it hurt a lot. Furthermore, the corridor we filmed at was really narrow and crowded with staff and actors, over 30 people, so it was really warm and unbearable, and just thinking about it is difficult. My image in the first and last episodes are different, I hope that you can feel my progress. For you, this main role in a drama is your second project after “SungKyunKwan Scandal.” Compared to the past, how do you think your mentality has changed? As “SungKyunKwan Scandal” was my first time shooting a drama, I think the viewers were more accepting, or should I say that due to it being my first time acting so they were more kind and protective of me. 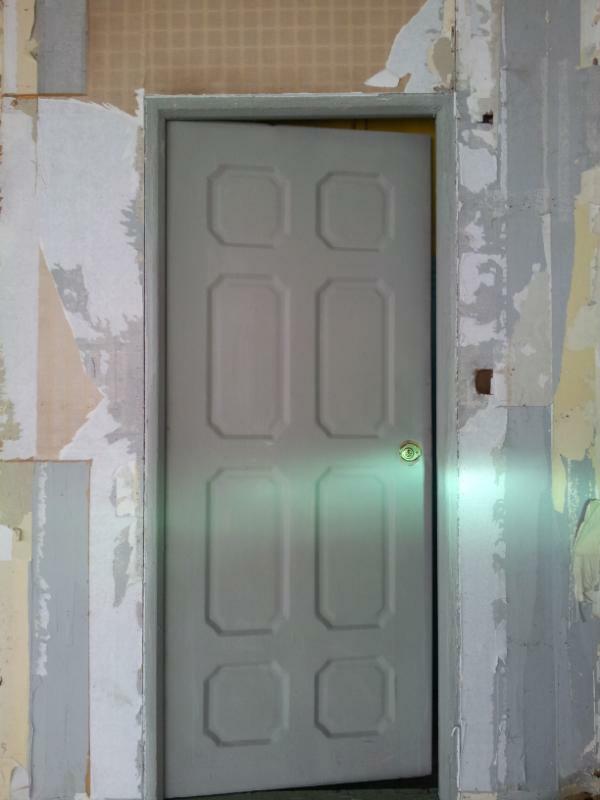 However, with my second project, this is different. 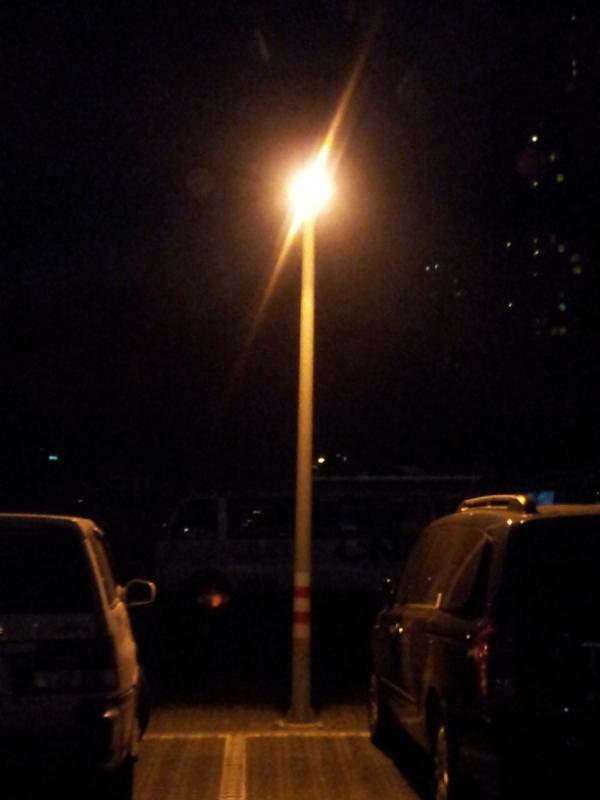 Although they are fans, the number of people who have a more critical eye on me has increased as well. This means that I feel more pressure. But because I really did work very hard on this drama, so if I were to be praised, I would be very happy. I cut my hair at around episode 11. Actually, I was supposed to cut my hair once I started working at the hotel, but the timing wasn’t right. Actually, I think that I was a little fat when I had cut my hair short previously, and that was probably why my short hair was a failure. This is why I wanted to challenge (short hair) again, wanting to try it out in the drama. I think it suits me better now, what do you think? (Laughs) Seriously speaking, as this is my second project, I was acting with a portion of my mind thinking that my acting skills were still very weak. But acting with this constant need to work harder in mind, I’m thinking, “Comparing the first episode to the last, wasn’t I very different?” I want to show my progress to everyone, and this is what I wish to bring to my fans.